Unzip and paste the Aircraft and Decal Folder inside the Objects mod folder. 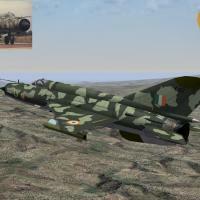 *Skins based on Fubar512's Mig-21MF Template here at the CA Forums. *Paulopanz's Mig-21 'Vikram' required for tail numbers.